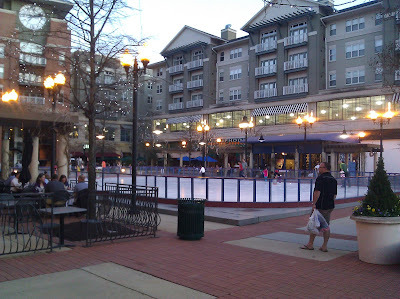 So yeah, it was 80° yesterday and folks were still on the ice skating rink...of course, it's only open until this Sunday. Seriously, Shira and I had most pleasant sitting in the warm evening air, eating frozen yogurt and watching folks skate. Surreal.